Nick's Flick Picks: The Blog: Is This Desire? I, too, am a huge fan of PJ Harvey. For an artist that is constantly changing, I can't manage to not love any of her work. To see her tackle a piano album is making me giggle in delight and I can't wait to see if this will finally top her work on Rid of Me. 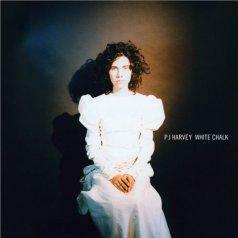 I second the PJ Harvey love. I can never decide whether I like her balls-out rawk better than her introspective stuff, but I can't wait to her this new one. I'd kill to see her live, too. I love that Bjork, Tori and Polly all released an album this year. Remember when they were on that (awful) Q magazine cover back in the 1990s together? Bet they planned this 2007 thing all the way back then. Yup. Come to England and visit me! There's a history of sexuality conference next July. You could be here. We could gallivant. I miss you. Also, *I* know that I'm on Greenwich Mean Time, and I've informed Blogger that I am, but Blogger doesn't seem to want to accept it and instead keeps claiming that I'm doing everything 5 hours earlier than I actually am. I don't think anyone's ever going to see me up at 7:30 a.m., anywhere.